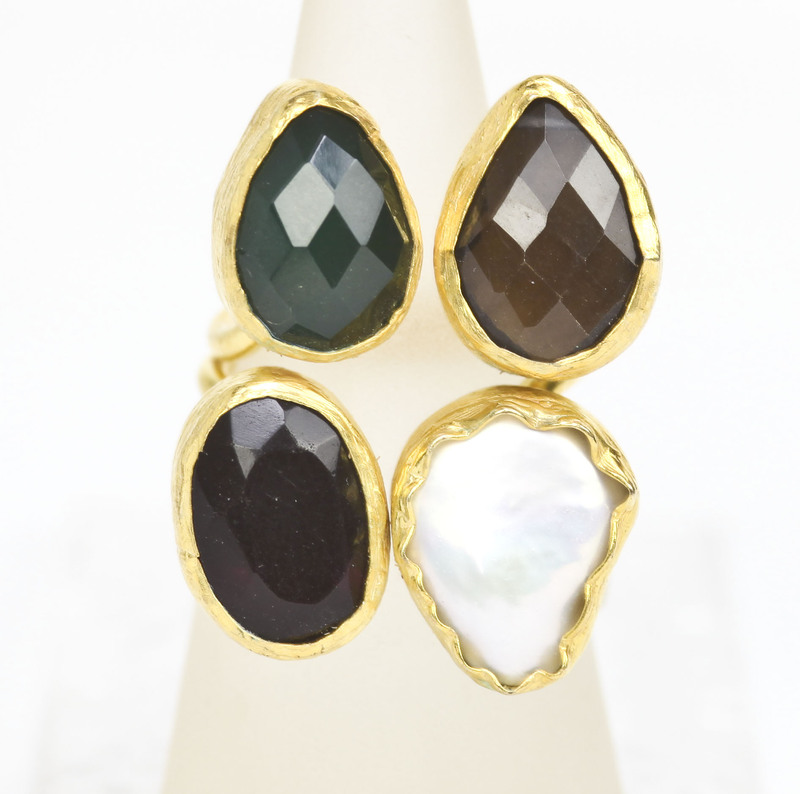 This 22 carat gold plated brass ring is set with mother of pearl and three faceted stones - very dark amethyst, smokey quartz and reconstituted jade. It is adjustable upwards from size M. Increasing the size expands the gap between the stones. All the jade stones and beads in this range are reconstituted. They are made from the tiny scraps of jade that are left when Turkish stonecutters have worked their lapidary skills on a larger piece. So this is a really eco-friendly way of ensuring that none of the precious gem is wasted. The same is true of the sapphire, ruby and turquoise items from Ottoman Hands. Do not immerse in liquid and keep the metal away from anything abrasive.